All Inclusive Whala!Bavaro Hotel - in Punta Cana, Dominican Republic! All Inclusive whala!bavaro Hotel in Punta Cana, Dominican Republic! Bid Per Person Per Night and Choose your Length of Stay! 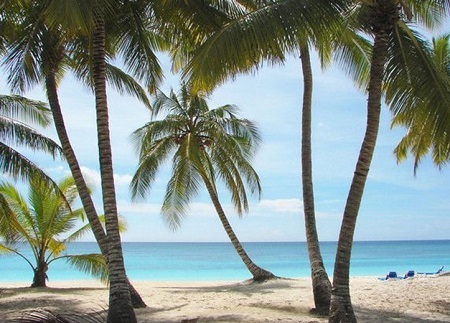 The whala!bávaro hotel is located a few meters from Bavaro Beach with direct access to this beach located in one of the most exclusive areas of the Dominican Republic. You will also have access to a private beach area with sun loungers. 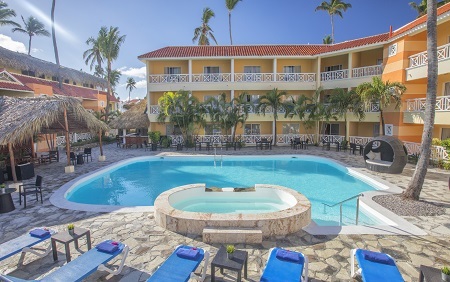 During your stay in our hotel you can not only take a swim in the beautiful waters of the Caribbean but you can enjoy the best atmosphere and all the amenities in the three outdoor pools surrounded by large terraces with sun loungers. In addition, each Monday we held a barbecue on one of them. 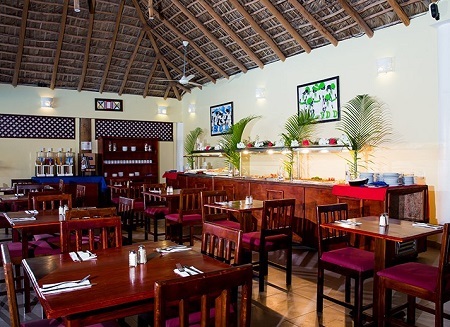 The all inclusive service of the Hotel whala!bávaro includes breakfast, lunch and dinner as a buffet. Discover the Caribbean cuisine and enjoy every day your breakfast, lunch and dinner in the two restaurants of our hotel. In the restaurant buffet you will find the best and most varied dishes and products and in our a la carte restaurant Sueño you can have dinner from Tuesday to Sunday with an added cost. Nothing better to enjoy the comfort and tranquility of a holiday like sit and have a drink and let time pass. You can do this in the three hotel bars, the Orquídea bar, the Sueño Bar and the Beach Bar, where you can also grab a snack between 10 am and 6pm. Offer is based on a Double Occupancy in a Double Room. 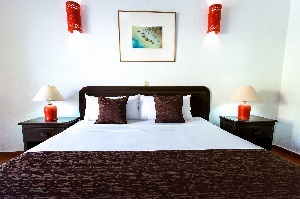 The whala!bávaro hotel offers 36 double rooms. After a day of beach and sun in the Caribbean nothing like arriving to your double room with capacity for three people to unwind and relax. Wind down and rest in the balcony and enjoy the facilities of this comfortable and modern room. Upgrade to a Superior Room for an additional + $10 per person per night. 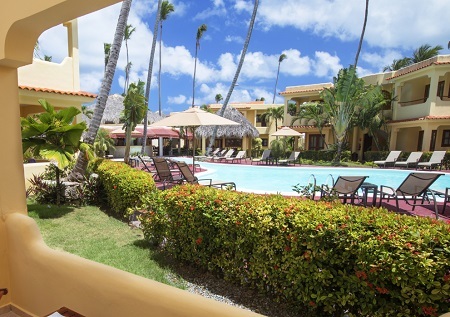 The whala!bávaro hotel has 89 Superior rooms available. The big space and great facilities of these rooms make it the perfect place for the accomodation of groups of four people both two adults and two children and four adults. If you want a room in Punta Cana where you feel comfortable and have all the facilities, you just find it. Upgrade to a Suite with a maximum occupancy of 2 adults for an additional $25.00 per person per night. The whala!bávaro hotel has 25 Suits available. Enjoy a romantic stay in paradise with all the amenities in the whala!bávaro hotel room thanks to its warm Suite rooms decorated with modern and elegant furnishings. 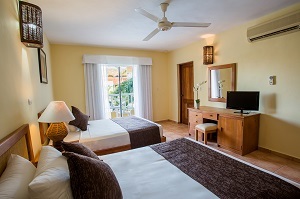 Each room has a Jacuzzi where you can relax after a long day of sightseeing the beaches of the Dominican Republic. Children age 4 and under stay FREE when sharing a room with adults. Please provide names and dates of birth in the comment section. 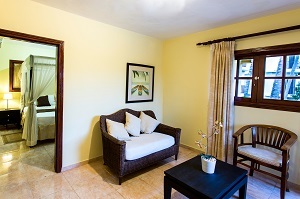 Whala!Bavaro Hotel - Suite cannot accommodate more than 2 guests. Families must choose room type of Double Room or Superior Room. An Extra Person Rate: Guest age 13 and older can be accommodated for the same price as the first two adults. Single Supplement: Accommodations are based on double occupancy, single supplement is additional depending on season and room types. Please contact us for a quote. Single parents staying with children must pay the single supplement. Tax and service charges of $39.oo per person per night are additional. All Reservations must be Requested by noon est. on September 30, 2018!